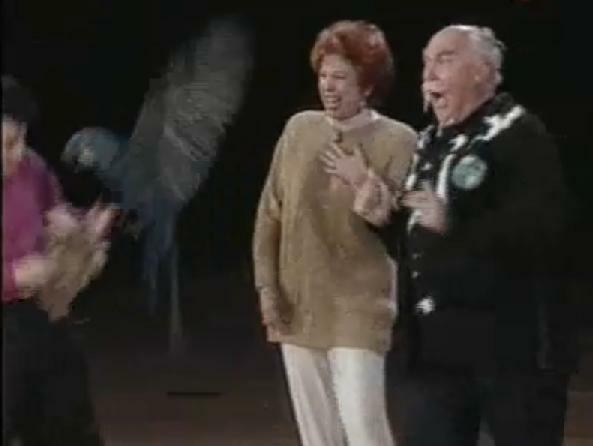 As you can see here, Rip's passion for winged wildlife has always aroused disbelief. Many hold hard and fast to the misconception that Rip is merely a first rate entertainer and world-renowned lover. The facts are quite to the contrary, though. Rip's first passion was always birds. This stems from an incident during time spent as a young child in Yugoslavia. Rip tended to his grandmothers bifocaled finches (Fringilla presbyopas), feeding them regularly several times a day. This is where he actually began developing his patented confetti-flinging technique. Rip would often open his show in the early days with a recreation of his feeding routine, while delivering an opening monologue from his first screenplay. He originally used birdseed, but this proved messy and occasionally fatal. he then switched to confetti, and began to make references to "spreading his seed." Rip's narrowly known skills in communication were investigated by several scientific journals of the 1920's. Few reports survive, because few scientists did. Eventually though, the entertainment industry commanded most of Rip's attention, much to the dismay of several scientific institutions continuing attempts to harness what seemed like whimsical displays of prowess in communication. Rip's response was simply, "Hey, a gull's gotta eat!" One of Rip's most unique stunts, though by far not his most impressive, is the first he teaches every tropical variety that he acquires: fetching his toupee's. During his more hedonistic and substance-fueled days, he often would turn larger species into viscious killers. To train them, he would go into the streets and toss his toupee at a completely unsuspecting pedestrian, yelling, "Catch!" which doubled as his attack command (see left, Rip, with his third wife, in New York in the mid 70's demonstrating the terrifying powers he possesses.). He later honed this skill so that his birds would specifically attack the crotch. 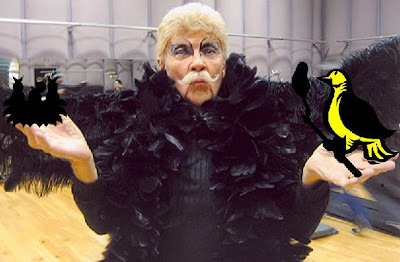 After attaining the stardom that came naturally, Rip was eventually to refocus his efforts to his first love and even combine his two careers, noting "Hey, I don't wanna pigeonholed... or maybe I do [bats eyebrows]." 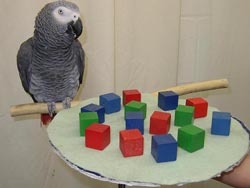 In the late 80's, Rip established a factory, employing a large percentage of the bird population in creating confetti from large mined blocks of plastic (below, a new employ sets about his task). 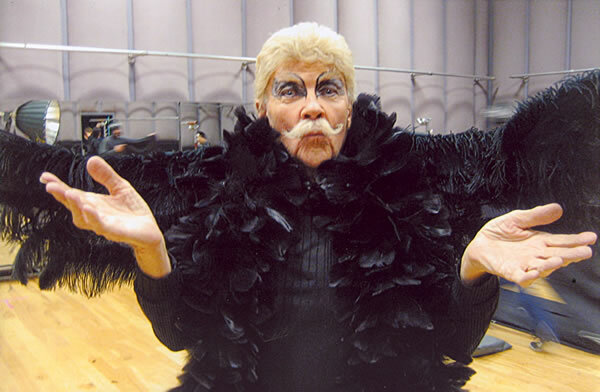 Rip has received several prestigious awards , and been dubbed in national press as "the Godfeather" and the self-appointed "Birdman of Alka-Seltzer". As if publishing several pseudonymous books weren't enough, Rip also ghostwrote several hit pop tunes in the past decade, based on conversations he had with his grandmother's finches. This is of course, only a glimpse into the frightening and awe-inspiring world of Rip's unknown talents. When asked about his lifelong interest, Rip quipped, "Well, you know, I've always been an Odd Bird!! Bwhaa meh mwah ha ha!"